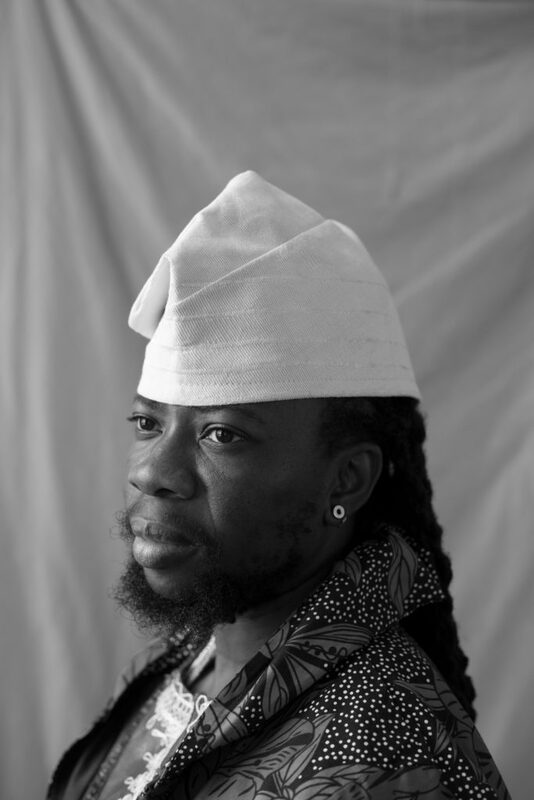 Seyi Adebanjo is a Queer gender-non-conforming Nigerian MFA artist, who raises awareness around social issues through digital video, multimedia photography, ritual & writing workshops.. Seyi’s work is the intersection of art, media, imagination, ritual and politics. Seyi was recently awarded the BRIO Award and 1 of the 8 Exciting Filmmakers Shaking Up Hollywood by IndieWire. Afromystic Experimental Project inspires people to experience Divine love within. It’s a space to investigate gender empowerment, Queerness and gender fluidity in Yorùbá/Òrìṣà mythology/traditions, and to uplift positive images and stories of Queer practitioners of Color in a society privileging Christianity. This workshop series will include interviews, Òrìṣà story-circles, story-writing, and embodiment with gestures/movements, and will culminate with showings/performances in Brooklyn and BAAD! This project is for People of Color who are QTGNC, Two Spirit or LGBTQ. Straight allies are welcome. Open to Yorùbá & Òrìṣà practitioners, West African traditional religions, and faith-based/earth-based practitioners in the diaspora. My art practice is built upon the foundation of my cultural heritage, ritual, political histories and hybrid identities. As a Queer gender non- conforming Yorùbá Nigerian living in the South Bronx I situate the work in the techniques & aesthetic of African Cinema, Third cinema, lyrical documentaries, AfroSurrealism, Theatrical Jazz, utilizing Julie Dash, Marlon T Riggs, Ousmane Sembène, Rotimi Fani-Kayode, Sharon Bridgforth & The Black Audio Film Collective for inspiration. My multimedia projects rewrite visual style and evoke a dialogue between technology, class, gender, spirituality and language. Motivated by my passion to make the invisible visible, my art claims space and reclaims lives. Seeing limiting or no representation of Queer Gender Fluid immigrants, spiritualist, and People of African Descent I knew it was important to strengthen a new story and affirm the identities of people who cross the border of gender/spirit/sexuality. Utilizing my skills and experience as a visual artist I creating- Afromystic (film) & Afromystic Experimental Project : The search for the Divine Love within through mythology and Yorùbá Spirituality In Nigeria, Brazil & The United States.